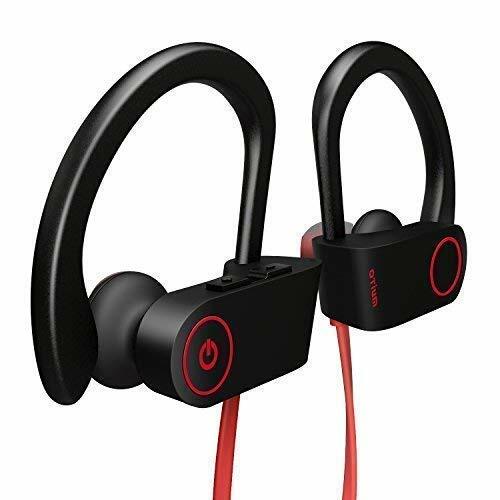 If you on the lookout for a set of wireless headphones which won't wobble their way out when you workout and slip as you sweat you are in luck, as today's article will showcase the 10 best wireless headphones for working out in 2019. 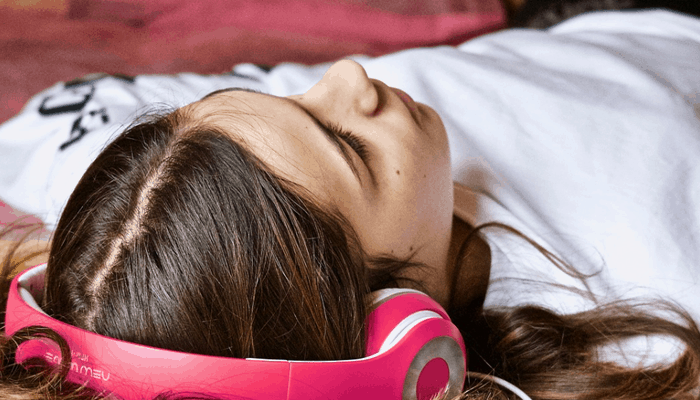 Without a shadow of a doubt, supplementing your workout routine with the rhythm of your favorite tunes dramatically aids your pace. 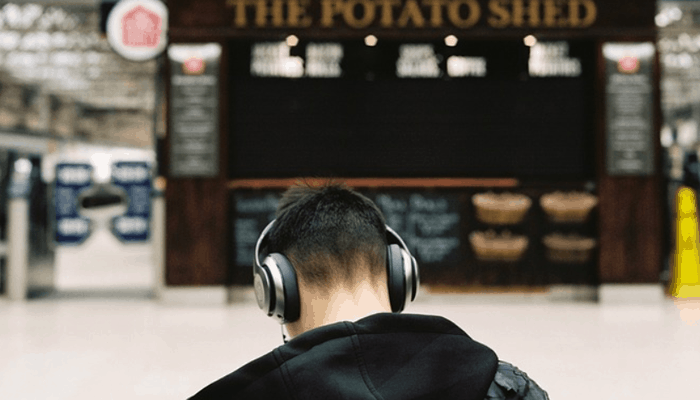 Music is motivating and can even increase your overall stamina as you can time sets to the music and listening to something you enjoy can distract you as you drill. 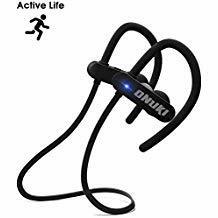 In the past, your average set of headphones couldn't keep up with high levels of endurance, sliding around as you sweated and eventually succumbing to residue build-up and burning out on you. Thankfully today's cutting edge waterproofing, and wireless integration means that manufacturers have some innovative solutions for work out perfect audio wear. We are going to take you through a range of solutions which we have provided alongside a trusty buyers guide. We begin our reviews with a tremendous entry from TREBLAB. They are a super compact wireless earbud option. They feature ergonomically designed grips which are miniature fin-shaped flexible curves. The grips help them stay inside the ears and can also be clipped together via a complimentary neck–cord which features built-in controls, and a mic for hands-free functions. They are also noise-canceling which helps to keep the line of communication clear and free of outside interference. They are beautifully made and can be carried in a pocket when not in use making them very portable. Their wireless nature means there are no tangling wires and nothing getting caught or pulling as you jog, cycle or dance. They are IPX6 certified which makes them pretty protected against perspiration, so you don't have to worry about working up a sweat. They feature high-quality beryllium drivers which work very capable to provide well-balanced audio from their tiny 10mm composite cones. They are equipped with the acclaimed Apt-X technology which we have seen in similar models, giving the frequency response more balance and providing high definition stereo sound which has distinguishable equalization. 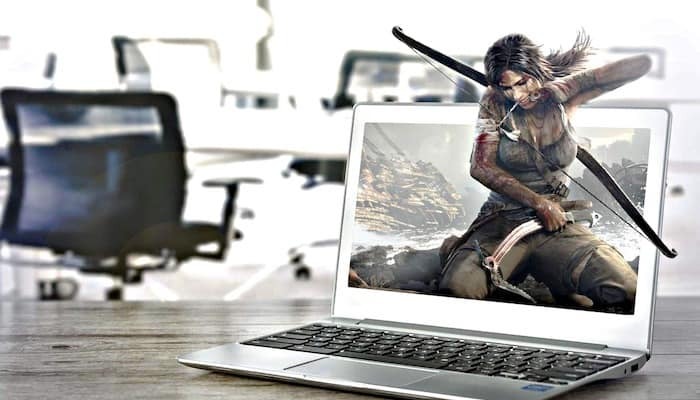 They are equipped with stable Bluetooth 4.1 connectivity and you get 8 hours playtime from around 2 hours charge. They come with a carry case and a range of different styled and sized interchangeable tips. Why We Liked It - We love their compact nature, they are even less cumbersome than an over ear-hook version, they have a variety of ear-tips and the sound is top-notch. The second set we are looking at is also the today's cheapest choice retailing just under the $20 mark. This pair of over-ears from Otium perform at high output for around 8 hours at a time. They are a perfectly capable model - though there are newer versions available. The upgraded set only sees the Bluetooth brought up a notch from 4.1 to 4.2 along with a bit of a face-lift and if you are on a tight budget its pretty much a no-brainer that these may be a better buy despite being a bit older. The Audio model in their workout range has been designed for richer bass frequencies, the circuitry has been optimized to enhance the low ends and the tiny composite diaphragms double up the bass and are capable of extended low-frequency response to assist. They have comfortable non-slip antiperspirant over ear hooks to help keep the ear-buds in place, and they come with multiple ear-tip options. They pair easily (in just one step) and have a good transmission radius. Why We Liked It - These are a great value for money set the bass is definitely richer than other similarly priced sets. These SENSO Bluetooth headphones made their way on to our radar in our Best Bluetooth headphones article. They are a full over-ear hook styled set which allows for more freedom of movement than some earbud options. The hooks are made from a flexible comfortable rubber composite and are comfortable to wear and lightweight. The earbuds are anti-slip form and seal to keep them within the mouth of your ear canal. The driver array is high performance and delivers diverse dynamics with great overall balance. The internal electronics are well engineered and encased in a nano-coating scoring them an IPX7 certification and rendering them very watertight. They provide 8hrs battery life between charges and feature sophisticated noise canceling to keep voice calls impeccably clear. + Secure over ear hooks. 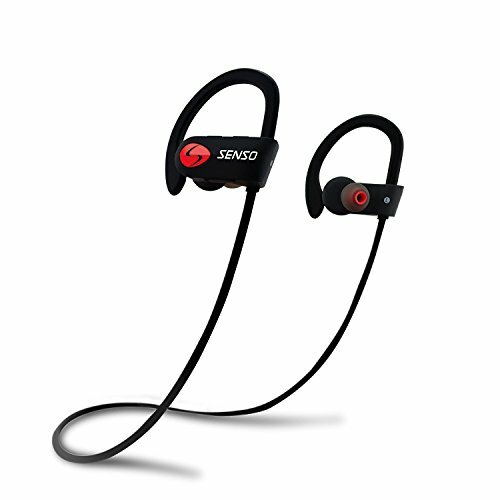 Why We Liked It - They outperform many Bluetooth headphone models on the market, we are impressed by a lot of SENSOs products and they are waterproofed to the same extent as a high end model - great for sports. Now for a pair with full size over ear hooks to give the buds some added stability. They are a newly upgraded model which is now decked with the latest Bluetooth technology. This gives them a faster and more stable connection than before, this model also benefits from a bit of a re-design as far as materials are concerned in an effort to provide next level comfort. They are also Apt-X fitted optimizing their miniature drivers and circuitry to deliver better audio balance and definition. The sound is on par with all of the other pairs we have so far examined but they outperform the maximum run-time of the rest, dishing out a dozen hours of listening. They retail around the same price as the first pair we browsed but are IPX7 certified rather than 6 and they also offer up 4 extra hours of running time, though the battery takes slightly longer to recharge between use. They feature CVC 6.0 noise cancellation technology for voice calling and they come with a nice resistant carry case to keep them in. + Full over ear hooks. Why We Liked It - They are equipped some of the latest technological codecs and advancements available at this price level. Retailing just a little lower than other sets with similar specs is this superb set from Soundwhizz. They are donned with matching 10mm array which is also Apt-x tech-driven for high performance and ultimately higher fidelity audio. Despite their tiny size they are very robustly built, yet lightweight for comfort. They feature intuitive onboard controls easily located on the earphone itself, and they feature a built-in mic for calls and voice commands. They are noise canceling and capably bestowed with Bluetooth 4.1 which is pretty current and they provide a stable transmission. They pair easily and work for around 8 hours maximum. They come with a range of tip options with different bass flanges so you can decide your favorite fit. They are created with a composite which is non-slip and very flexible so they can be comfortably worn with sunglasses, caps, hats, and sweatbands and they carry an IPX7 certification rendering the rain harmless. They come in shocking pink with sparkling silver and are also available in black and red, or gunmetal. Why We Liked It - They essentially match the specs of others for around 20% less of an investment, they are stylish and we like that they have been well thought out conceptually. If you liked the capabilities of our opening model from TREBLAB but weren't sold on the in-ear hook, then you might consider these over-ear styled set suitable for your needs. The XR800 set are one of the last years best-sellers, but remember, we are only one month into this year so their tech is far from obsolete. 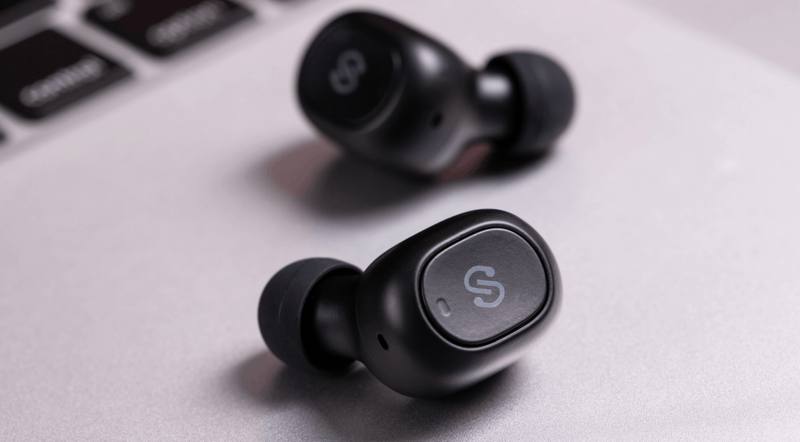 They serve up the same onboard features as their in-ear counterparts with their up-to-date Bluetooth, Apt-X codec, dynamic balance, high-performing beryllium drivers and IPX rating. The only real genuine difference is how they are worn catering to preference alone. 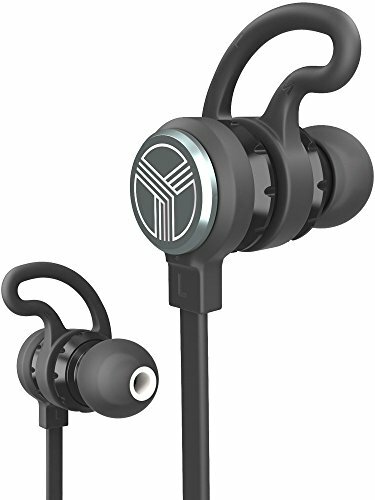 They provide high-output, high-definition audio, have built-in noise-canceling capabilities, around 8 hours of battery life and come with a range of interchangeable earbud tips. + Over-ear hooks to maintain positioning. Why We Liked It - They are another fantastic over-ear option, they provide great audio and cater to a variety of wearers needs, they feature decent waterproofing methods and are reliably built. Over to ONUKI for a very streamlined over-ear hook design. This model has hooks you will hardly notice they are so compact and comfy you can wear your regular glasses with them or anything else for that matter. They feature professionally tested components which are among some of the best in their classification and an up to date CSR chip to enhance low frequencies providing rich bass. The advanced array serves up fantastically balanced full-range audio and comes with a three different sized memory foam ear tips to provide a range of fits. 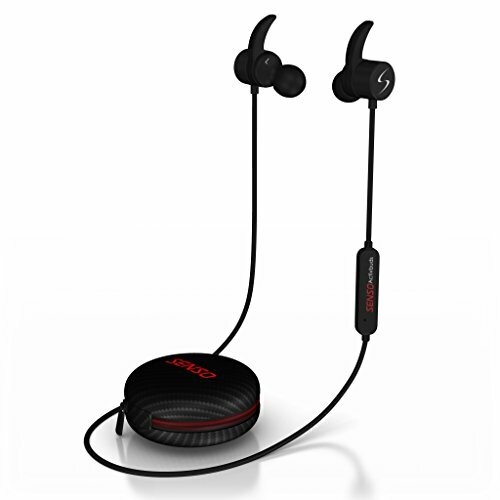 They come with Bluetooth version 4.1 connectivity and pair easily even at a distance of around 10 meters away. The connection is stable and can be controlled via the inline user controls. The built-in mic deals with answering calls, as well as voice commands and the lines, are audibly clear as they have onboard noise cancellation processing. Their rechargeable batteries provide around 9 hours of listening time. Why We Liked It - They are a highly popular product that produces excellent sound from quality parts and they still come in with a price tag below the fifty dollar mark. This fab pair from Phaiser have an inner ear softly molded hook very similar in style to the TREBLAB J1 We began our article with. They get placed in the ear with a tiny twisting action which locks the fin in place eliminating the need for an over-ear hook or headband. They are comfortable to wear thanks to the skin-friendly flexible materials chosen. They feature standard sized 8mm drivers so the bass is not as driven as some but it is still very present in the mix. They are high output and feature first-rate components within their construction. The circuitry benefits from all the latest Apt-X tech, and CSR wizardry as the rest. 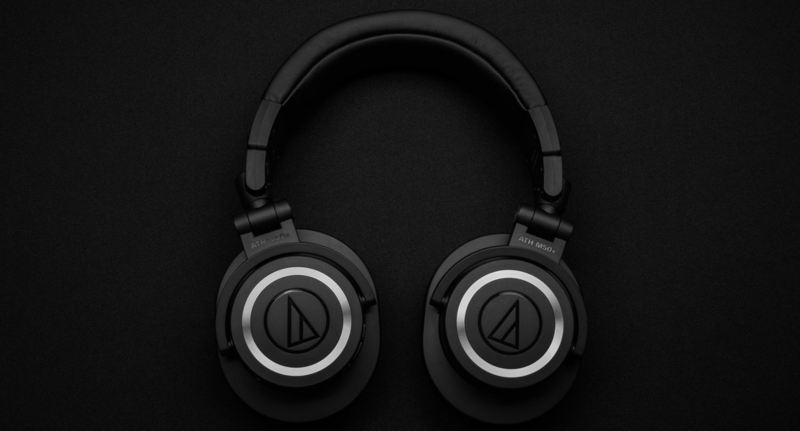 They offer noise cancellation to keep calls crisp and have actually been optimized to auto equalize themselves to the best settings for spoken word when calls are answered. + Skin-friendly inner-ear hooks which twist into place. Why We Liked It - They are priced very competitively undercutting very similarly matched sets in term of their specs. Now for a set with a bit more audio sculpting scope. 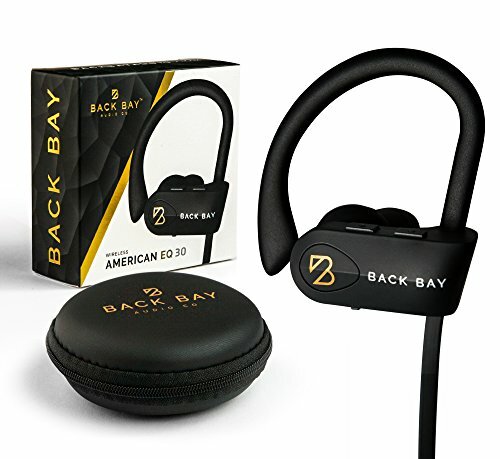 This awesome affordable set of Bluetooth headphones from Back Bay are designed with 2 core goals in mind, 1 to be running ready, and 2 to keep audio control in the hands of the user. They are an over-ear hook design which has been comfort-coated, they can be linked with a cord and come with 3 different ear-tips a carry case and a cord clip to keep any excess out of the way whilst you work out. The drivers are superb quality, the array benefits from advanced engineering which gives them a little advantage over the others. The multi-crossover nature allows for them to come loaded with 5 different equalizations presets which have each been carefully selected and fine-tuned in-house in person at their Boston headquarters. The 5 presets essentially give the user 5 different listening modes, each suited to different listening experiences and situations. From a bass boost setting to one perfect for pristine podcast listening. 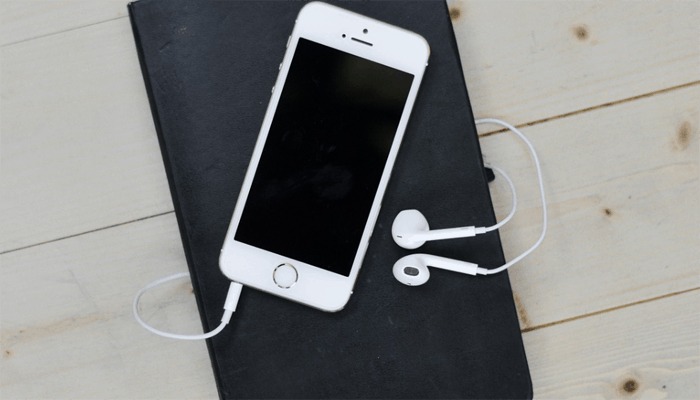 They benefit from quick charge methods which actually give an hour and a half of uninterrupted listening leisure for just 15 minutes of battery top-up. 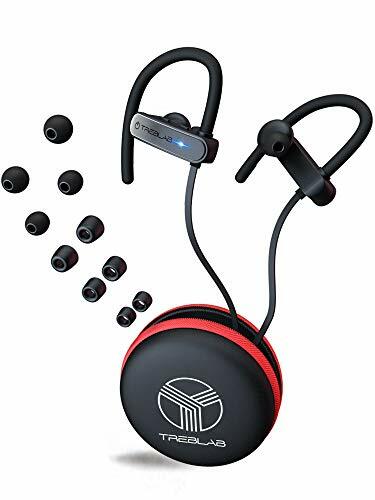 They have current Bluetooth connectivity and are donned with an IPX 7 certification making them rain and sweat-proof, great if you find yourself caught running in the rain. + 5 different EQ modes. Why We Liked It - This pair stay true to what the product is for at heart, as music critics we are all for honest audio which is enjoyable the five provided presets make this set much more versatile because they deliver dynamically different setting and ultimately a better listening experience. We are wrapping up our review section with a second selection from SENSO this one is essentially a different style version of the pair we already peeked at. They provide the same high definition sound like the other set and are decked with the same dynamic drivers and level of quality. 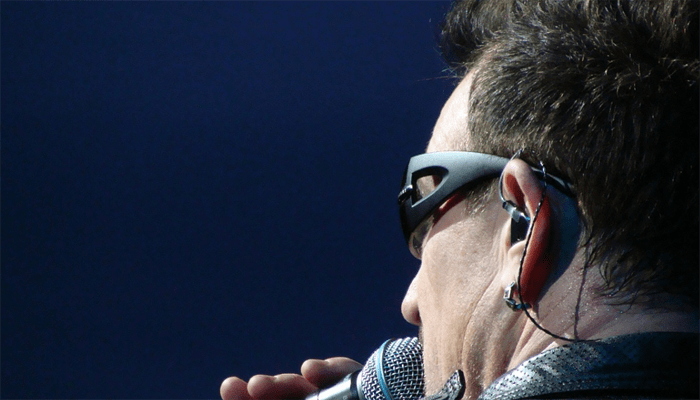 This set feature in-ear hooks instead of over ear-hooks catering to personal preferences. They have equipped with Bluetooth 4.1 and C.V.C 6.0 noise suppression cancellation technology, and an internal ceramic antenna to ensure users can hear a voice call without the outside world encroaching on important conversations. When the buds are removed from the ear they are magnetically drawn to one another clipping into a secure necklace keep them safe during transit and eliminating the need to remove them completely. The wire between the bud features in-line easy access user controls. They are sweat-proof and will survive a little rainfall but aren't protected from submersion like some, as they only carry a certification of IPX level 5. + Magnetically clips into a necklace. Why We Liked It - They may not be the most waterproof on the market but they serve up some fantastic features as we said we have been very impressed with SENSOs sound the drivers are little larger than standard at 10mm and the bass is therefore better. 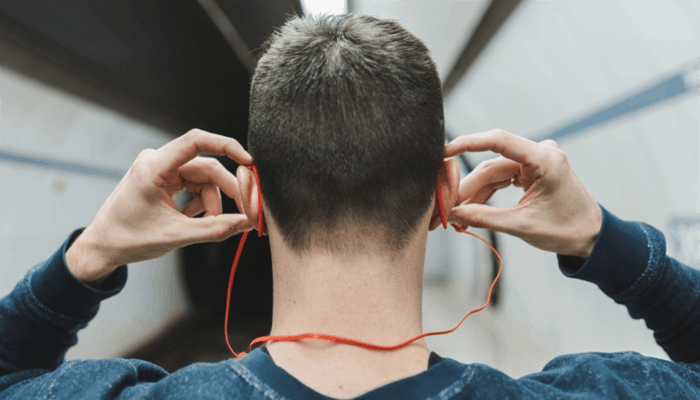 Music and movement pretty much go hand in hand so luckily many manufacturers have noticed the niche in the market and audio electronics for athletics are well and truly catered to. There really is an abundance available out there as with most audio accessories. The digital age and the wireless ways of the world have created a demand for modern convenience integration and thankfully the invention of CSR chips has reduced production costs to a more accessible figure for the average buyer to have Bluetooth connectivity built into just about anything imaginable. Great news for anyone who wants to keep-fit with their playlist, because wires really do get in the way of a workout. If you want wireless audio to encourage your cardio, then it is a buyers market but you have to consider some simple but key factors. It needs a fairly up-to-date version of Bluetooth and if you want to be able to use it to answer calls or speak to Siri you are going to need a built-in mic and some noise canceling capabilities. 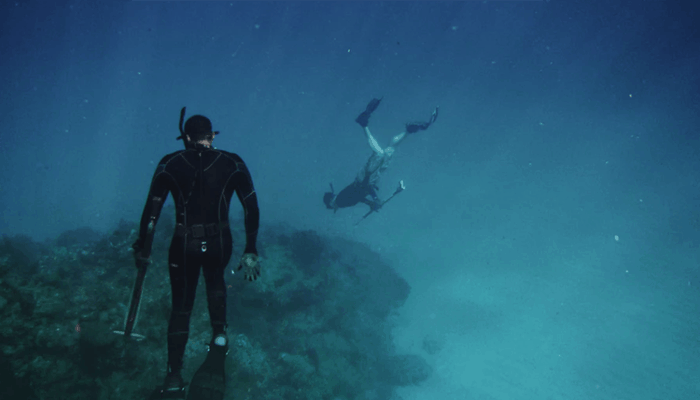 If you have a particularly rigorous routine or are outdoors often you would be wise to go for a high waterproof certification. Sweat can actually be more damaging to unprotected components than water and they will slip around a lot less in general which is pretty imperative too. The main qualifier other than your budget which will affect the set you settle on is actually your preferred headphone style. 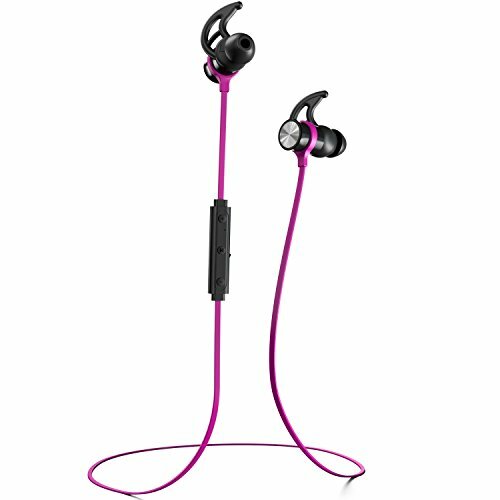 Most sporty sorts agree that an in-ear headphone is the only way to go as an over-head/over-ear set are too bulky, to begin with, and we have stuck to earbud options in today's reviews but that is not to say that there aren't many models out there trying to contest the general consensus. In-ear models are known for falling out of ears if they are ill-fitting which is obviously going to be exacerbated by energetic exercising. We have looked at a variety of design concepts with solutions to keep the buds in place. Some find that they favor one style over the other and this does just boil down to the individual. The majority of those we have looked at today are in a similar price bracket and don't differ heavily from one another in terms of the driver designs and overall audio if you want a better bass look for a set that has been optimized to provide just what you are looking for. The Back Bay set have built-in EQ options which are a useful tool and effectively a unique selling point, we don't typically see this sort of feature in the lower price region so if you spot it scoop 'em up. With the criteria being less complex and the many models matching each other's specs we have decided to have a comparative conclusion in which we have awarded a few titles to a few of today's products to crown them as best in their relative categories. 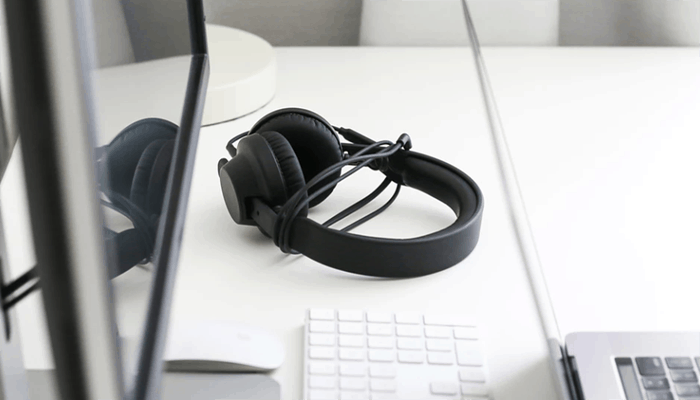 Best value for money wireless headphone for working out goes to the Otium Audio model as it is priced marginally lower than its competitors but offers equal functionality. 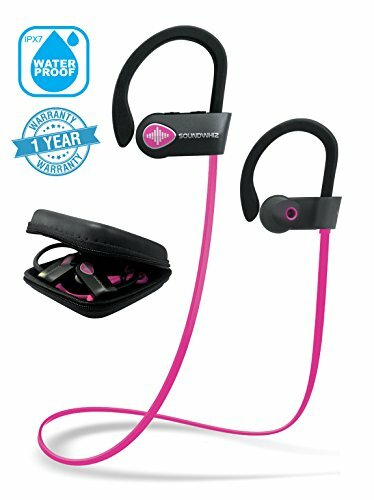 Best over ear wireless headphone for working out is awarded to the SENSO set as the serve-up superb sound, stay in place and are sufficiently waterproof too. 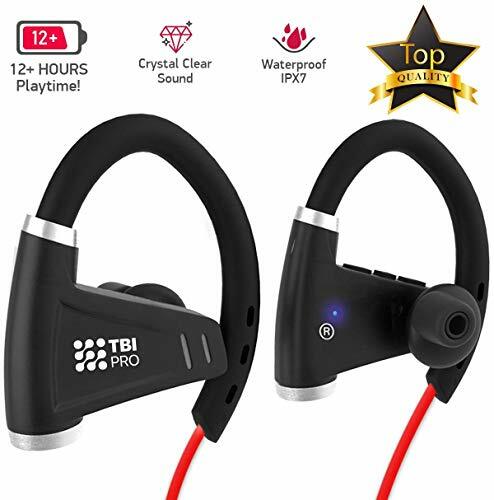 Best In-ear wireless headphone for working out in our opinion is the TREBLAB we started off with they stay in the ear even upside down making them perfect for Yoga and even acrobatics. If you were wondering about the best Bluetooth headphones for bass out of today's bunch we would have to recommend the Back Bay set the multiple EQ settings are an amazing feature. They are competitively priced and possibly even serve the best sound of the lot thanks to the optimized fine-tuned superior settings. We hope you find today's reviews of use before you buy your next set of wireless headphones for working out. If you have audiophile ears and money is less of a concern there are some amazing models on the market if you are able to part with around 5 x the average asking price of those we have chosen today. 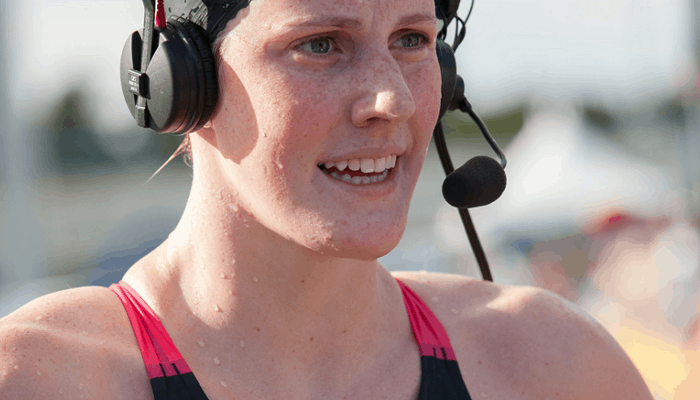 Some of the Bluetooth headphones we have examined carry high level certifications to classify their water-resistance, this makes them ideal for athletic pursuits, but did you know some are designed so well you can swim in them? You can read our waterproof headphone reviews here.